Chevrolet has been manufacturing the full-size Silverado pickup since 1999. The truck has more than earned its reputation for reliability, dependability, and capability over the years, and Chevrolet has become a true leader in this particular vehicle segment. With three generations of Silverado pickups on the road today, there are plenty of options for buyers in search of a used Chevy Silverado, to choose from. Whether you are looking for a light duty 1500, a medium-duty 2500, or a full-duty 3500, Chevrolet of Naperville has all of your pickup truck needs covered. The Chevrolet Silverado isn’t just a great truck, it is considered to be the longest-lasting, most dependable full-size pickup available. Power, performance, capability – the Chevrolet Silverado has it all. Out of the three available Chevy Silverado generations, the third is easily the most popular and dependable choice for buying used. Starting in 2014, the Silverado’s third generation has enjoyed plenty of progress in the form of complete redesigns, updates, and restyling. With each and every change made, the Chevy Silverado has become more dependable, capable, and durable for drivers who rely on it the most. Pickup trucks aren’t like other vehicles on the road, and they tend to undergo more extensive wear and tear than other cars and SUVs experience. Because of this fact, it is critical that when you buy a used pickup truck, that you purchase one from a dependable brand, and from a model year that is known for reliability and performance. Discover what makes the third generation of Silverado trucks the more popular choice among pickup buyers, and which one might be right for your unique and demanding needs. 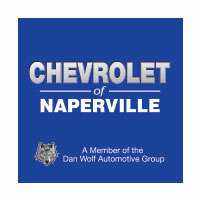 Chevrolet of Naperville is a dealership located in Naperville, IL, and we pride ourselves on offering area residents a straight-forward approach to car buying. Here at Chevrolet of Naperville, we cut out the games, gimmicks, and tricks that so many other dealerships fall back on. Our way of doing things may not be the industry “norm,” but as our past and present customers will attest, our approach is a true breath of fresh air. Buying a used vehicle should not be a scary or stressful experience, and it never will be when you put your trust in Chevrolet of Naperville. As a member of the Dan Wolf Automotive Group, we share the same values and commitment to customer care that have been driving our business for nearly thirty years. As a longstanding, committed member of the Naperville community, we stand behind every vehicle we sell, both new and pre-owned. As a car buyer at Chevrolet of Naperville, you will be assured of that dedication by the genuine kindness of our staff, and by our customer satisfaction guarantee. At Chevrolet of Naperville, we would rather see you leave our dealership happy in the car you came with, then leave in a vehicle you weren’t one-hundred percent happy with. We realize that our inventory might not be equipped to satisfy the needs of every car buyer in the Chicagoland area, but we would love for you to give us the chance to help you discover the perfect new or used car you have been searching for. When you purchase your next used Chevy Silverado or other vehicle at Chevrolet of Naperville, you will gain access to exclusive perks and benefits that other dealerships don’t offer. Our Pit Pass program is a great way to keep your new-to-you vehicle in great shape, and ensure that it is in proper working order. Simply pull your vehicle into our in-and-out service center, and place your Pit Pass sign on your dashboard. Our certified technicians will give your vehicle a quick inspection, top off any necessary fluids, and you will be on your way, knowing that your vehicle is working as it should. The Pit Pass Program at Chevrolet of Naperville is free for anyone who has purchased a new or used car with us, and is just one of the many ways we are able to thank our customers for entrusting us with their car buying needs. Your used car purchase is one of the most impactful transactions you are likely to make in your lifetime. Rather than trust any roadside used car lot with that kind of responsibility, put your trust in Chevrolet of Naperville. Our longevity, outstanding reputation, and great selection of used vehicles, is just the beginning of why Chevrolet of Naperville is a top choice for buyers in the western suburbs of Chicago. Whether you have settled for a less than impressive dealership in the past, or are embarking on your very first car buying journey, we hope that you give Chevrolet of Naperville a chance to demonstrate how we believe used car dealerships should operate. The world is full of shady used car dealers with unsavory business practices. Why not give a dealership like Chevrolet of Naperville the opportunity to change your mind about the used car buying marketplace? With an unmatched inventory of quality used cars, trucks, and SUVs, Chevrolet of Naperville is the only used car dealership you will have to visit, so make us the first stop on your next car buying journey. You have absolutely nothing to lose, and so much to gain. The start of the Silverado’s third generation was first introduced at the North American International Auto Show in December of 2012. The anticipation surrounding the newest generation of Chevrolet’s capable pickup was obvious from its premature unveiling, and the 2014 Silverado did not make its way to dealerships until 2013. Chevrolet completely redesigned the Silverado, pointing out that the truck was “new from hood to hitch, engineered to be stronger, smarter, and more capable than ever before.” The exterior of the pickup truck is the first place that change is noticeable, with a new design that gives the 2014 Silverado a more square-shape, powerful look. Underneath, the all-new Silverado featured a fully boxed frame comprised of high strength steel and hydroforming technology. Chevrolet engineers used aluminum on the hood, control arms, and engine block of the 2014 Silverado in an effort to decrease mass and overall weight. While the aesthetic and material changes were important for the 2014 Silverado, the most notable updates sat underneath the hood. For the first time ever, the Silverado was made available with three new all-aluminum EcoTec3 engines. Each one features advanced technology like cylinder deactivation, variable valve timing, and direct injection – all of which work together to produce more power and torque than the outgoing engine options could. The new 4.3-liter V6 engine delivers 285 horsepower and 305 lb.-ft. of torque. The next new engine offering was a 5.3-liter V8 that was capable of 355 horsepower, and 383 lb.-ft. of torque, and boasted an EPA-estimated fuel economy rating of 23 MPG on the highway, making it the most fuel efficient V8 pickup truck on the road. Finally, the 2014 Chevrolet Silverado came with a 6.2-liter V8 engine that could deliver up to 420 horsepower, and 460 lb.-ft. of torque. Revised steering, brakes, and an updated suspension round out the list of performance-enhancing additions to the 2014 Silverado – none of which changed the truck’s starting MSRP. That means the 2014 Silverado offers much more in terms of performance and power than earlier model years, for the same amount of money. Just another reason why the third generation of the Chevy Silverado is the most highly recommended one for buying used. 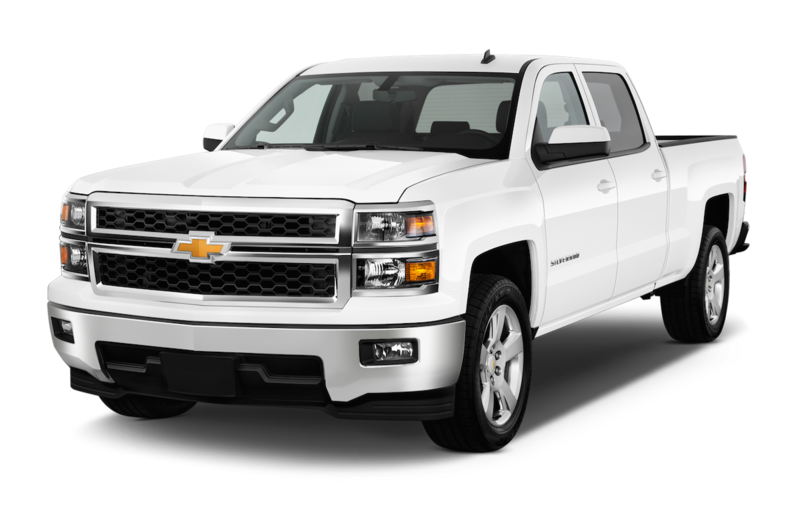 While the 2015 Silverado model did not receive major changes from the previous year, there is still plenty about it that is worth mentioning. The 2015 Chevy Silverado was sold in various body styles, including regular, extended, and crew cab. Each one offered its own unique take on the pickup truck segment, with varying bed sizes and interior passenger space. From seating for up to five passengers, to the traditional three passenger front seating arrangement, the third generation of the Silverado pickup offered it all. Under the hood, the 2015 Chevy Silverado equipped with the 6.2-liter EcoTec3 engine came paired with a brand new 8-speed 8L90 transmission, offering an increased ratio spread, quicker shifting ability, and enhanced acceleration. 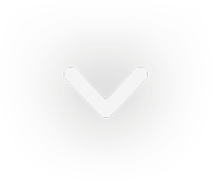 Used pickup truck buyers who value in-vehicle technology and amenities will appreciate all that the 2015 Silverado had to offer as either standard features, or optional fare. Popular features such as Bluetooth Connectivity, remote keyless entry, USB ports, a 4-inch color touchscreen display, and a powered rear liftgate were all available in 2015. Advanced safety features like collision warning, rear parking sensors, and a backup camera were also made available on the third generation Silverado pickup, making it even more appealing to more used truck shoppers. As popular and well rounded as the Chevrolet Silverado was, the 2016 model year brought a few minor updates and changes to the iconic American-made pickup. Featuring a slightly revised front end, Chevrolet was able to incorporate better headlights into the Silverado’s design. These included bi-halogen projectors with LED accents for better clarity during the day, as well as enhanced visibility at night. HD Radio technology is resurrected in the Silverado for 2016, as well as a remote locking tailgate, power-retractable side steps, and a new standard 8-speed automatic transmission. As minimal as these changes seem when compared to the 2014 Chevy Silverado, the 2016 version of the iconic pickup is a great option for used truck buyers who want more, for less. The latest model year for the Silverado may not represent the beginning of the truck’s next generation, but it certainly received plenty of updates to make it seem that way. Offered in the same trim levels as it was in 2016, the newest Silverado pickup gains two new exterior colors, as well as a few more exciting changes. Chevrolet added a capless fuel fill system to every 2017 Silverado model, making fill-ups easier and more convenient than ever before. The Teen Driver safety system that Chevrolet has pioneered became available on the 2017 Silverado for the first time, as well as low speed mitigation braking, and the latest Chevy MyLink infotainment system with Android Auto compatibility. As we anticipate the release of the Silverado’s next generation, we can’t help but marvel at all that the 2017 Chevy Silverado has to offer, especially for drivers seeking quality used trucks to purchase this year and next.